How did you start out in theatrical projection design? Is there one project that stands out as extra challenging or rewarding? When are you brought into the creative process? What's the next step in projection design tech? Any more challenges in the pipeline? My education is in theater studies and nineteenth century European literature, while my professional experience encompasses work as Director of Photography, Photographer and Visual Designer. Early on in my theater career, I was attempting to hire a projection designer who never followed through – which is when I began exploring the dark arts of projection design to make the first preview! 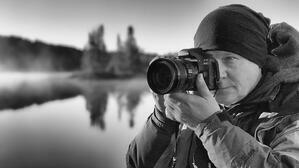 My experiences in film and video have influenced how and why I still pursue projections in the theater. I have always been interested in the challenge of how to design and create moving imagery that enables a tone, that explores an emotion, or an action, instead of only being a scenic element. 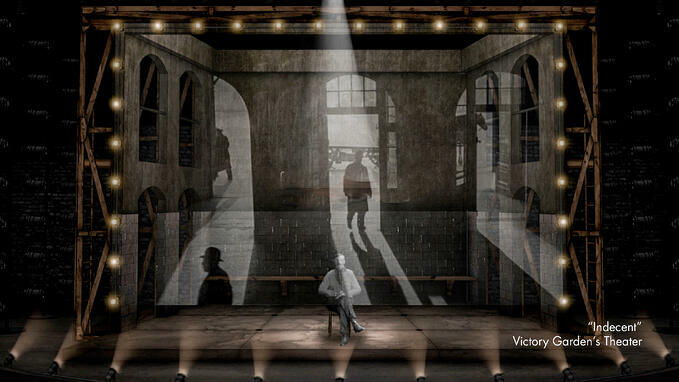 In 2018, I created the projection design for four projects, including three world premieres: "Faceless" by Selina Fillinger, directed by B J Jones at Northlight Theater; "Lettie" by Boo Killebrew, directed by Chay Yew at the Victory Garden’s Theater; "Indecent" by Paula Vogel directed by Gary Griffen at the Victory Garden’s Theater (pictured), and "Lady in Denmark" by Dael Orlandersmith directed by Chay Yew at the Goodman Theatre. Is there one production that stands out as extra challenging or rewarding? My work on the world premiere of "Lettie" by Boo Killebrew directed by Chay Yew at the Victory Garden’s Theater was certainly the highlight of last year. Yew, the director, is also trained in film studies. His directive for the projection design for "Lettie" was that every scene transition and background should be its own short film, able to stand on its own and to reflect the emotional journey of Lettie. I filmed in and around Chicago, documenting many of the city's nooks and crannies in 4k resolution. We then post-processed the 4k footage with Black and White treatments and layers, and further manipulated and presented in WATCHOUT. 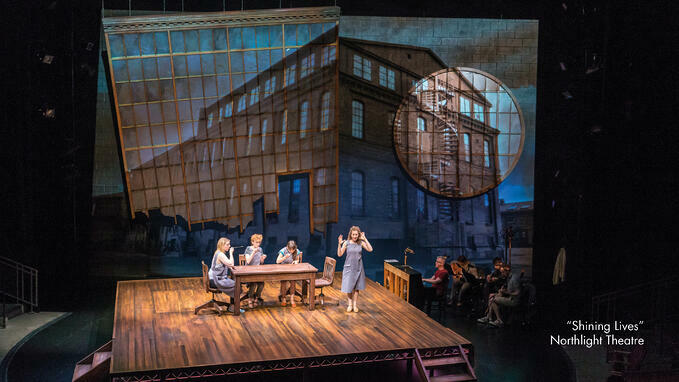 I am particularly pleased with the final scene: Lettie confronts an empty stage that births an interior dining room from seemingly out of nowhere, with projections that track the movement of transitioning scenery. The projections go from filling the whole stage, to just the interior walls of a small dining room in the midwest. The visuals are a chilling reminder of Lettie’s journey and her continuing compromises to stay alive. Watch the video on Vimeo! The current state of projection design has changed significantly in the last few years. Most theaters today realize that the earlier you get the projection designer involved, the more organic the creative process, and the more constructive the flow of ideas and opinions that can be shared from the get-go. On a practical level, I have always found it very helpful to have a dry tech [a rehearsal without the performers] with projections on the set before technical rehearsals begin. By having a dry tech, the director and lighting designer have an opportunity to see exactly what the projection department is up to – before all of the elements are added. What's the next ADVANCE in projection design tech? Short throw lenses continue to revolutionize what is possible with stage design. The ability to project on large surfaces, with short throw lenses, without blinding the performers with front projections, is another step in the right direction. 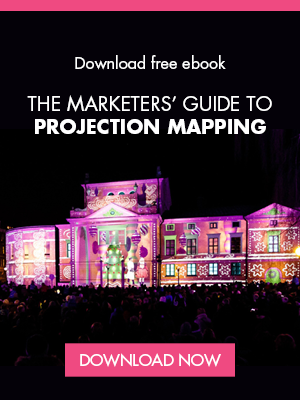 Mapping has made great strides in the projection industry. The minutia and specificity with which a designer can place imagery on an environment is astounding. The trick in live performance is always how to find the balance in not upstaging the play and/or actor. Be prepared to have your creative soul crushed, both by the director and yourself, when you realize that the audience is watching your design and not listening to the play. 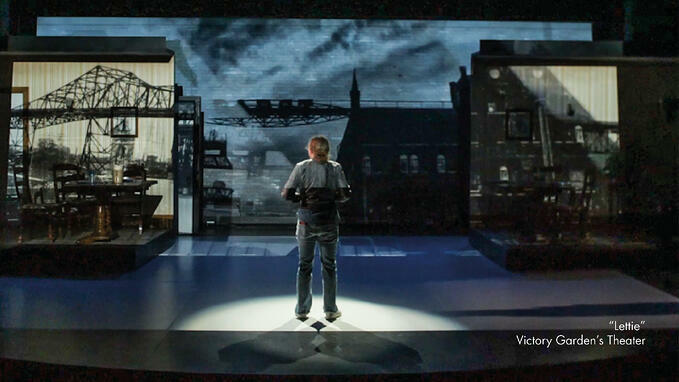 Less is more, more often than not, in theatrical projection design. Be prepared to wield your own red pen. My next project is providing projections for an upcoming gala for the organization “Center On Halsted”. This gala will be celebrating the 50th Anniversary for the Stonewall Riots, which I will explore through projections on the set.